Moot courts are one of the key extracurricular activities practiced in the Schools of Law worldwide. They are staged to help students enhance their debating and argumentation skills before courts of law, and inculcate speaking and critical thinking skills that are essential in the making of admirable lawyers. 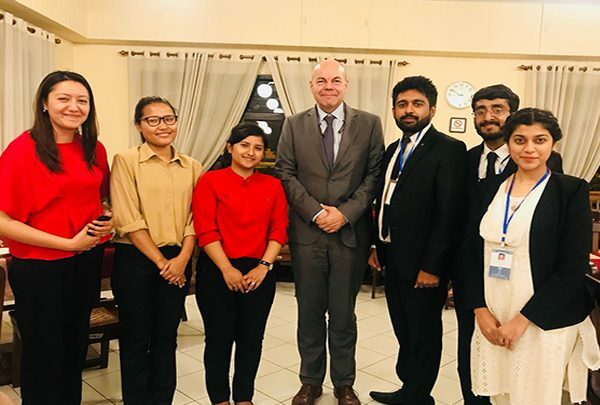 Based on the visible values, UOL Department of Law recently, launched a strategy of featuring its students in the national and provincial moot court competitions. 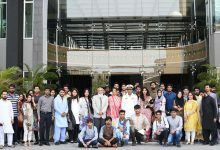 The convener of moot courts at the department, Ms. Syeda Mina Faisal trained two teams that participated in the National Moot Competition held at The University of Central Punjab (UCP) between February 24 and 25, 2018, and the 1st LUMS International Moot Court Competition held between April 4 and 8, 2018. Rabeea Hayat, Muhammad Muneeb-ur-Rehman, Aftab Tahir, Eman Fatima, and Huma, Abdul Rafay represented UOL at LUMS event, whereas Zarnaab Bhatti, Aneeka Kamran, Rana Usama and Khubaib Ghazi participated at UCP. Both teams showed remarkable performances that have encouraged the convener to continue preparing students for more competitions in the upcoming semesters. “Our initial attempts in moot courts have encouraged us to always be ready for such competitions.” Ms. Syeda said while talking to this reporter.